Christopher Paul Hasson allegedly stockpiled weapons and "extremist" views. Federal authorities have arrested a Marine veteran and U.S. Coast Guard lieutenant who they said was stockpiling weapons and "espoused extremist" and racist views for years as he sought to launch a major attack. "The defendant intends to murder innocent civilians on a scale rarely seen in this country. He must be detained pending trial. ... 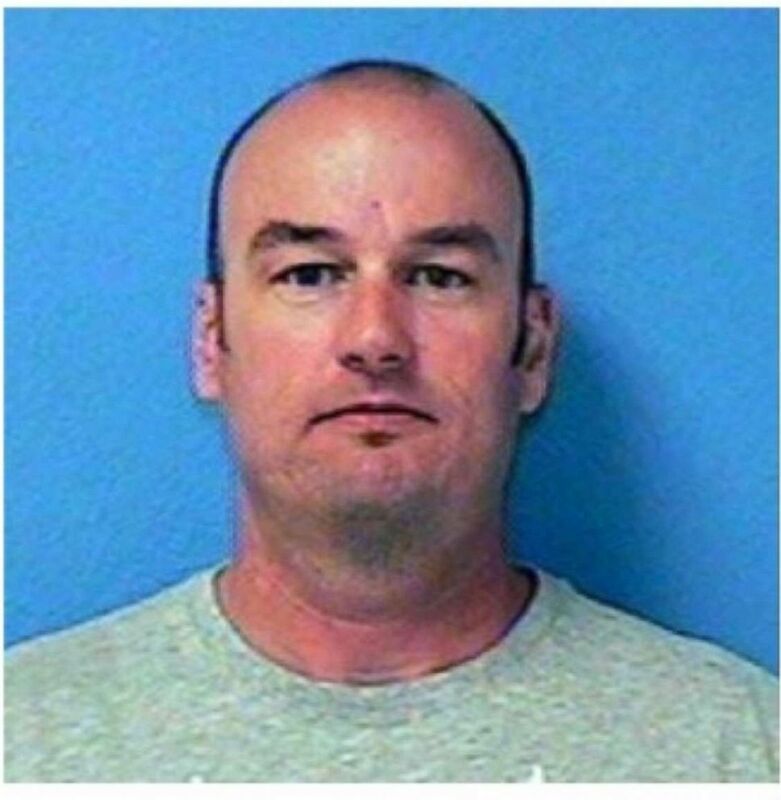 The defendant is a domestic terrorist," prosecutors said in a court document filed in Maryland federal court Wednesday, arguing that Christopher Paul Hasson should be detained. Hasson allegedly compiled a list of prominent Democratic congressional leaders, activists, political organizations, and MSNBC and CNN media personalities, including apparent references to Joe Scarborough, Sen. Richard Blumenthal, Rep. Nancy Pelosi, Sen. Kamala Harris, former Rep. Beto O'Rourke, and Sen. Elizabeth Warren, according to court documents. Hasson was arrested by agents of the FBI Baltimore Field Office and the Coast Guard Investigative Service on Friday on gun-related charges. "The criminal complaint filed in U.S. District Court in Maryland charges Mr. Hasson with possession of firearms and ammunition by an unlawful user or addict of controlled substances, and with possession of tramadol, the Justice Department said. Hasson, 49, is currently assigned to Coast Guard headquarters in Washington, D.C. He'd been living in his Silver Spring, Maryland, apartment since June 2016, when he signed his lease, authorities said. 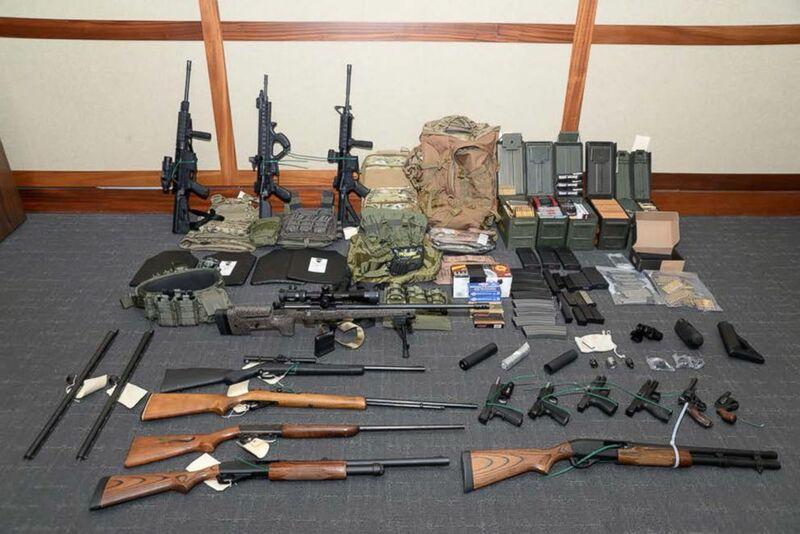 (Source) U.S. Coast Guard Lieutenant Christopher Paul Hasson was allegedly stockpiling weapons as he sought to launch a major attack, authorities said. Feb. 20, 2019. A source familiar with the matter said the Coast Guard tipped the FBI off to Hasson, and then the FBI and Coast Guard jointly investigated him. Details of his case were laid out in a court document filed Tuesday, seeking his detention until trial. Court documents -- which don't include any actual attack plan -- alleged that in a draft email Hasson wrote on June 2, 2017, making reference to Olympic park bomber Eric Rudolph, he said, "I am dreaming of a way to kill almost every last person on the earth. I think a plague would be most successful but how do I acquire the needed/ Spanish flu, botulism, anthrax not sure yet but will find something." He then allegedly discussed an "interesting idea" of "start[ing] with biological attacks followed by attack on food supply." "Liberalist/globalist ideology is destroying traditional peoples esp white. ... No way to counteract without violence... Much blood will have to be spilled to get whitey off the couch," Hasson allegedly wrote. According to court documents, he allegedly said he was, "Looking to Russia with hopeful eyes or any land that despises the west’s liberalism. Excluding of course the muslim scum" and had to "take serious look at appropriate individual targets, to bring greatest impact. Professors, DR’s, Politian’s [sic], Judges, leftists in general." Months later, court document said, in September 2017 -- about seven weeks after the Charlottesville neo-Nazi rally -- he allegedly sent himself a draft letter, which he apparently wrote for a known American neo-Nazi leader. In the letter, he allegedly wrote: "I am a long time White Nationalist, having been a skinhead 30 plus years ago before my time in the military. I have served in 3 branches currently serving as an Officer (never attended college) with 2 years till I hit mandatory retirement at 30." He said he "fully support[s] the idea of a white homeland ... We need a white homeland as Europe seems lost." From January 2017 to January 2019, he conducted online searches and made thousands of visits online for pro-Russian, neo-fascist and neo-Nazi literature, court documents said. Investigators said Hasson lived in "a cramped basement apartment in Silver Spring, Maryland," and when the FBI raided it, they found a total of 15 firearms and "conservatively" more than 1,000 rounds of mixed ammunition. (U.S. Attorney's Office Maryland/Reuters) A cache of guns and ammunition uncovered by U.S. federal investigators in the home of U.S. Coast Guard lieutenant Christopher Paul Hasson in Silver Spring, Maryland, U.S., is shown in the photo provided, Feb. 20, 2019. Investigators also found more than 30 bottles labeled as HGH (human growth hormone), which authorities said were intended "to increase his ability to conduct attacks." The Coast Guard released a statement late Wednesday. "An active duty Coast Guard member, stationed at Coast Guard Headquarters in Washington, DC, was arrested last week on illegal weapons and drug charges as a result of an ongoing investigation led by the Coast Guard Investigative Service, in cooperation with the FBI and Department of Justice. Because this is an open investigation, the Coast Guard has no further details at this time," according to a statement from the U.S. Coast Guard. Hasson is due in court Thursday for a detention hearing in Maryland, the Justice Department said.